Christmas isn't even here yet and Walmart is already giving us a sneak peek of their Boxing Week flyer! The sale starts online December 24 at noon EST and in-store on December 26. Offers are while quantities last, no rainchecks. 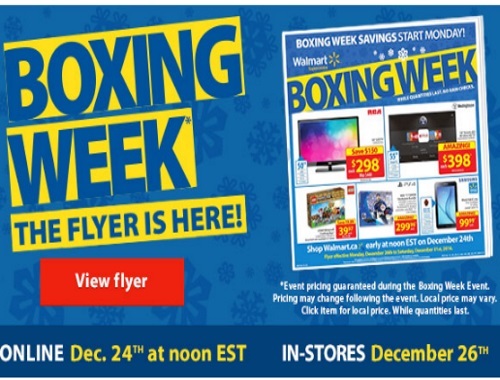 Click here to browse Walmart Boxing Week.